Blessed Beyond Measure: SMB Moms Night Out - Early Entrance GIVEAWAY! 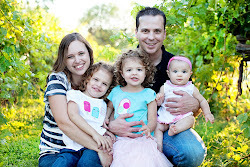 So, as many of you know, I've had to opportunity to become a contributor to Scottsdale Moms Blog. For those not familiar with the blog, here's a little background: SMB was created to unite moms in creating a common community and actually getting moms face to face with each other instead of just online with each other. 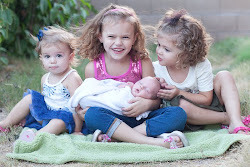 What started as a small community of Scottsdale moms has now fully expanded to the Phoenix metro area with play dates, resources and mom's activities for all to enjoy. One of the things (the most famous and wonderful things) SMB is known for is their Moms Nights Out. These are held at wonderful locations around the valley and feature amazing raffles and prizes as well as food and drink. But the best part about them is its a great opportunity for moms to get a night out and spend it relaxing in a fun environment with friends. I have truly enjoyed these quarterly nights. Happy early Mother's Day, let's celebrate together with a night out with the girls! * Doors open at 7PM. Raffle prizes drawn at 7:30PM. If you would like to be gifted with the early entrance opportunity, simply leave a comment below and I will select 2 people TOMORROW MORNING to email the early admission link. You then have about 24 hours to get your ticket before they go public!! I really hope to have you, my friends and family, join me at this event!! That is so exciting that you are now a contributor!!! Yay!! I just want you to know that I support you and pray for you and your family. I would like to continue to follow your blog, but this go round with your give away, I will pass. Just wanted you to know that I am reading (and enjoyed it).